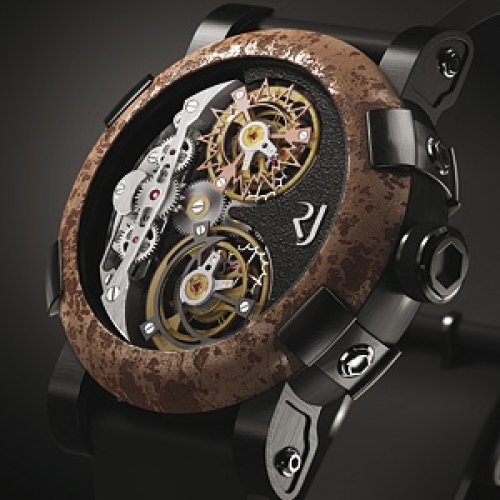 Romain Jerome presents its own special interpretation of time in this extraordinary creation. 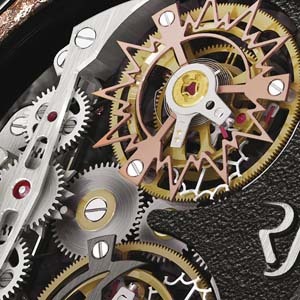 Limited to a series of nine, it is the world’s first watch not to display the time. With its combination of symbols and watch complications, this exceptional object houses the first “RJ One” movement, composed of two tourbillions on the foundation of a differential system – a world first! The transmission of energy symbolizes the passage from one life to another, in which the daytime activities of the Tourbillon Day are relayed after twelve hours to the private sphere of the Tourbillon Night.